Needles-n-Pins Stitcheries: National Quilting Day!!! 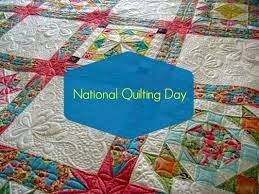 So to all my fellow quilters.......Happy National Quilting Day! !